Kamma (Telugu: ????) or the Kammavaru are a caste or social group found largely in the Southern Indian states of Andhra Pradesh, Tamilnadu and Karnataka. They constitute about 7% of Andhra Pradesh and 5% of Tamil Nadu population and in significant numbers in Karnataka. The Kamma population was 795,732 in the year 1881 . In the last decades of the previous century some of them migrated to other parts of the world, particularly to the USA, UK and Australia. There are many theories about the origins of the word "Kamma" and the social group known as Kammas but none is conclusive. One theory is that the people who lived in the Krishna river valley, where Buddhism prevailed, got the name from Theravada Buddhist concept of Kamma (Pali) or Karma (Sanskrit). This region was once known as Kammarashtram / Kammarattam / Kammanadu, which was under the control of Pallavas, Eastern Chalukyas and Telugu Cholas. Inscriptions mentioning Kammanadu are available since 3rd century A.D. Historians need to closely analyze if there are any links between Pahlava/Kambhoja migrations to Palnadu / Kammanadu region of ancient Telugu country. Kambhoja Raja Kathalu (Story of the king of Kambhojas) is still very popular in Andhra Pradesh. The story deals with militaristic exploits of a fierce and adventuours king of Kambojas. It probably relates to some historical brush the Andhraites might have had with the intruding hordes of Kambojas/Pahlavas around Christian era. The region extending from the southern bank of Krishna river up to Nellore district of modern Andhra Pradesh was once called Kammanadu. Inscriptional evidence for Kammarashtram / Kammanadu exists since 3rd century CE. A part of Kammanadu is called Palnadu/Pallavanadu. Pallavas started their rule from the southern parts of Telugu country and later extended it to Tamil country with Kanchi as their capital. This strongly points out a wave of Kambhoja/ Pallava migration to coastal Andhra Pradesh. The Kambojas in west, south-west India are also attested from inscriptions of kings Sadasiva Raya of Sangama Dynasty (1336-1478), Harihara, Bukka & Deva Raya of Narasinga Dynasty (1496-1567), and from the references of Vishnuvardhana of Hoyasala Dynasty/Mysore (of 12th century AD). Inscription of 1050 AD from Mysore Tract (EC, VII SK 118) attests Trading Corporations of Nanadesa Tisaiya Yirattu Ainnurruvar which traded, among other commodities, in elephants,horses, sapphires, moonstones, pearls, rubies & other gems. The countries of trade are mostly located in middle to southern India. These corporations are stated to have trading links, among others, with the Kambhojas and Pallavas. The theory is that the people who lived in the Krishna river valley, where Buddhism prevailed, got the name from the Theravada Buddhist concept of Kamma (in Pali) or Karma (in Sanskrit). This region was once known as Kammarashtram / Kammarattam / Kammanadu, which was under the control of the Pallavas, Eastern Chalukyas and Cholas .Inscriptions mentioning Kammanadu are available since 3rd century C.EAccording to some historians the Kammas existed since the time of the Christ. Another origin of Kammas is speculated as: Buddhist Kurmis from the Gangetic plains migrated to the Krishna river delta in large numbers to escape the persecution of Pushyamitra Sunga (184 BCE)Buddhism was already flourishing in Dharanikota, Bhattiprolu, Chandavolu etc in this fertile area Historians surmised that the Sanskrit word Kurmi/Kurma became Kamma in later years The first records of the word Kammarashtram appeared in the Jaggayyapeta inscription of the Ikshvaku King Madhariputra Purushadatta (3rd century CE)Kammarashtram extended from the Krishna River to Kandukur (Prakasam Dt.). The next record was that of Pallava King Kumara Vishnu II followed by that of Eastern Chalukya king Mangi Yuvaraja (627-696 CE). The subsequent inscriptions of Telugu Cholas/Chodas and Kakatiya dynasty mentioned "e;Kammanadu"e; This region is also known as Pallavanadu/Palanadu/Palnadu due to Pallava rule. The kings and military persona of Kammanadu started using the title Nayaka/Nayakudu from 10th century onwards as observed in many inscriptions There are about 1200 Kamma surnames (Intiperu) which are discernible from this time. The surnames and Gothras of Kammas and Velamas were catalogued by Badabanala Bhatta in 1068 CE The names of the ancestral villages were adopted as Gothras. This shows that the ancestors of Kammas and Velamas were either Buddhists or Jains who did not follow Gothra system and that both the social groups had a common history. The historical reasons for the dichotomy of the two groups are not known, although many stories abound. The inscriptions of many Kamma Nayaks mentioned that they belong to Durjaya clan (Vamsa)]. For instance, the inscription (1125 CE) of Pinnama Nayudu in the temple of Sagareswara in Madala village mentioned that he belonged to Durjaya clan and Vallutla Gothra Another inscription (1282 CE) in the same temple mentioned that Devineni Erra Nayudu, Kommi Nayudu and Pothi Nayudu belonged to the lineage of Buddhavarma, Durjaya clan and Vallutla Gothra The inscription at Ravuru mentioned that the bodyguards of Queen Rudrama Devi, Ekki Nayudu, Rudra Nayudu, Pinarudra Nayudu and Pothi Nayudu belong to Durjaya vamsa and Vallutla Gothra. ] It is worth mentioning here that many of the martial clans of Kammas belong to Vallutla Gothra . Many of the Telugu Chodas of Kammanadu had relations with Eastern Chalukyas and later with Kakatiyas. According to many inscriptions and "Velugotivari Vamsavali" Kammas with surnames such as Yalampati, Sammeta, Maccha, Choda, Vasireddy, Katta, Adapa etc., belong to Choda-Chalukya ancestryThe Vasireddy Clan had a title "Chalukya Narayana" Historians surmised that by the end of 10th century Durjayas, Chodas, Chalukyas and Haihayas of Kammanadu merged into Kammas. The division of warrior class into many castes and their consolidation commenced during the time of Kakatiya king Rudra I (1158-1195 CE). Badabanala Bhatta prescribed Surnames and Gothras of Kammas. The affiliation of Kammas as a caste to the ruling dynasties could not be ascribed till 11th century. Traces of evidence were found in the inscriptions of Telugu Cholas/Chodas of Velanadu starting from Gonka I (1075-1115 CE), found in many places in Kammanadu. The Dharanikota kings (1130-1251 CE) who belonged to Kota clan of Kammas had marital alliances with Telugu Cholas. Similarly, Kota kings married the women from Kakatiya dynasty (E.g., Kota Betharaja married Ganapamba, daughter of Ganapati Deva). The Kakatiya Ganapati Deva married the sisters of Jayapa Senani, a warrior hailing from Diviseema ]. Jayapa Nayudu is also well known for his contributions to the field of Indian dance (1231 CE)] and was the head of the elephant corps in the Kakatiya army. Around this time many other warriors from Kammanadu joined the forces of the Kakatiya dynasty. Pemmasani Thimma Nayudu was the commander of Vijayanagara army which fought and won the battle of Gulbarga (Kalubarige) in 1422 CE. The grateful king Devaraya II made him the governor of Gandikota (Cuddapah)Thimma Nayudu constructed a large number of temples and tanks in the Rayalaseema region. The Gandikota Kammas kept the Muslim rulers like the Bahmanis at bay and protected Telugu land for a long time to come. Pemmasani Ramalinga Nayudu was the most favourite and chief commander of Sri Krishna Deva Raya. The battle of Raichur was won by Ramalinga during which thousands of Kamma warriors perished. The exploits of Ramalinga were extolled by many poets Portuguese historian Nuniz referred Ramalinga as 'Camanayque' in his writings[. 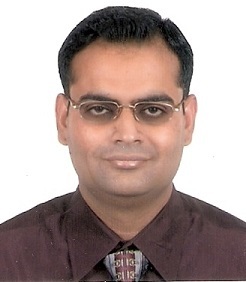 (Pemmasani Nayaks). Other illustrious clans which won laurels in Vijayanagara Empire were the Ravella Nayaks and Suryadevara Nayaks. Many commanders of these clans fought and protected the honour of Telugu country. Kammas controlled large swathes of southern and northern Tamil Nadu for several years under the title of Nayacker or Naicker or Naidu, which was a legacy of the Vijayanagara Empire. The Zamindaris of Ilaiyarasanadal and Kurivikulam in Tamil Nadu belong to Pemmasani families. Martial clans: Many clans belonging to Kamma social group figure prominently in the battles during Vijayanagara era and in the subsequent years. Some of these clans include Pemmasani, Matcha, Vasireddy, Konda, Kodali, Sammeta, Choda/Chode, Dasari, Alamandala, Adapa, Suryadevara, Nadendla, Veliseti, Sakhamuri etc[The most prominent Kamma commanders in Krishnadevaraya's army belonged to Suryadevara, Vasireddy, Pemmasani,Ravella and Sayapaneni clans. Vijayanagara kingdom underwent very difficult times after the battle of Tallikota in 1565. Pemmasani Nayaks, Ravella Nayaks and Sayapaneni Nayaks steadfastly helped the Araviti kings in keeping the Muslims at bay. It took another 90 years to consolidate the Muslim power in Andhra country with the capture of Gandikota in 1652. Kamma nayaks migrated in large numbers to the Tamil region. During the Golkonda period, the Sayapaneni Nayaks (1626-1802) ruled Dupadu region as vassals of the Golkonda sultans ]. Gangappa Nayudu, Venkatadri Nayudu and Rangappa Nayudu were famous among them. Ibrahim Qutb Shah captured Kondavidu in 1579. Rayarao, his Maratha commander, appointed Deshmukhs and Chowdarys in 497 villages. Some of the prominent Chowdarys belonged to Dasari, Kosaraju, Paruchuri, Ravella and Vasireddy clans. The usage of the title 'Chowdary' in coastal Andhra Pradesh commenced at this time. Vasireddy Sadasiva Nayudu ruled Nandigama paragana from 1550 to 1581 He was granted the paragana by Ibrahim Qutb Shah of Golkonda. According to Mackenzie, Virappa Nayudu was appointed as Deshmukh of Nandigama paragana in 1670. Chinapadmanabha Nayudu got a grant of 500 villages from Abul Hassan Tanisha in 1685. [ He built a fort at Chintapalli and ruled it until 1710 CE. His successors ruled until 1760. During this period the French and the British were trying to gain control of the Andhra country. Jaggayya ruled Chintapalli from 1763 onwards. He was killed by French troops sent by Basalat Jung, brother of the Golkonda Nawab in 1771. Jaggayya's wife Acchamma committed Sati. Jaggayya's son Venkatadri recovered Chintapalii in 1777 and earned fame as a benevolent and illustrious ruler ]. (Vasireddy Venkatadri Nayudu and Vasireddy Clan). The British gained control of Andhra by 1788 from Golkonda Nawabs. Another Kamma principality during Golkonda period was Devarakota with Challapalli as its capital. Its ruler, Yarlagadda Guruvarayudu was subdued by Abdullah Qutb Shah in 1576. His successors ruled as vassals of Golkonda till the French took over in 1751 and later the British in 1765. By the end of 18th century the British East India Company had consolidated their rule in Andhra. 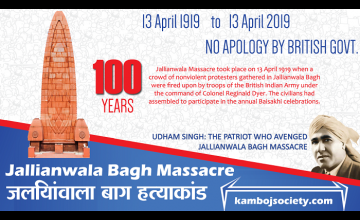 The armies of Zamindars and Deshmukhs were dismantled and only the power of tax collection was left intact. The well-known Kamma Zamindaris under the British rule were Muktyala, Chintapalli (Amaravati), Mangalagiri, Challapalli, Devarakota, Kapileswarapuram, Nandigama etc. These Zamindars encouraged modern education by establishing many schools and libraries. After the decline of major kingdoms, Kammas controlled large fertile areas in Andhra Pradesh and Tamil Nadu, as a legacy of their martial past. The British recognized their prominence and made them village heads(Talari) also known as Chowdary to collect taxes. The association of Kammas with the land and agriculture is legendary. The martial prowess of Kammas was put to good use to tame the lands in modern times. There are many proverbs in Telugu language which speak of the Kammas' adeptness in agriculture and their emotional attachment to the soil. For example: Kammavani Chetulu Kattinaa Nilavadu (Though you tie Kamma's hands he will not be quiet) and Kammavaariki Bhumi Bhayapaduthundi (The earth fears Kammas)[.English historians like Edgar Thurston and noted agricultural scientists like M. S. Randhawa eulogized the spirit of Kamma farmers  . Construction of dams and barrages and establishment of an irrigation system in Godavari and Krishna river deltas by Sir Arthur Cotton was a great boon to the Kamma farmers. Availability of water and the natural propensity for hard work made the Kammas wealthy and prosperous[The money was put to good use by establishing numerous schools and libraries and encouraging their children to take up modern education. Among the non-Brahmin communities, Kammas were one of the first to take to education in large numbers. Over a period of 10 years, in Guntur District alone, 130 High schools and hostels were established by their initiative. The zamindars of Challapalli and Kapileswarapuram founded many schools and libraries. In the modern times, the pace of the growth in wealth accelerated due to their enterprise and notable achievements in business, real estate, farming, arts and movie industry, education, medicine, engineering, media and high technology. The Kammas of Tamil Nadu who are the descendants of migrant commanders of Vijayanagara empire have also excelled in the cultivation of black cotton soils and later diversified into various industrial enterprises, particularly in CoimbatoreIn the recent past, enterprising farmers migrated to other regions such as Nizamabad, Raichur and Bellary (Karnataka), Raipur (Chattisgarh) and Sambalpur (Orissa) and bought lands. In the past fifty years, the enterprise of the Kammas has profoundly influenced every aspect of social, economic and political life of Andhra Pradesh, Tamil Nadu and the country in general. The contribution of Kammas to the economy of the state of Andhra Pradesh is significant. With the power of knowledge and education, a large number of Kammas have migrated to the USA, Canada, Australia, New Zealand etc. This migration is continuing unabated. In total Andhra Pradesh, presently the largest Kamma community are found in Khammam, Prakasam,Guntur and significant numbers in Krishna district and West Godavari districts of Coastal region and in large numbers in Chittoor, Khammam, Hyderabad, Rangareddy, Anantapur, East Godavari, Nizamabad kadapa, kurnool, Nellore and Visakhapatnam districts in Andhra Pradesh; Bellary and Bangalore districts of Karnataka; and Chennai, Coimbatore, Tirunelveli, Tuticorin, Kovilpatti, Madurai, Virudhunagar, Theni, Karur, Dindigal, North Arcot and South Arcot districts of Tamil Nadu. Several Kamma surnames that end with 'neni' denote the descent from an ancestor having the title 'Nayakudu/Nayudu/Nayuni'. Other surnames indicate the villages to which the persons originally belonged to. 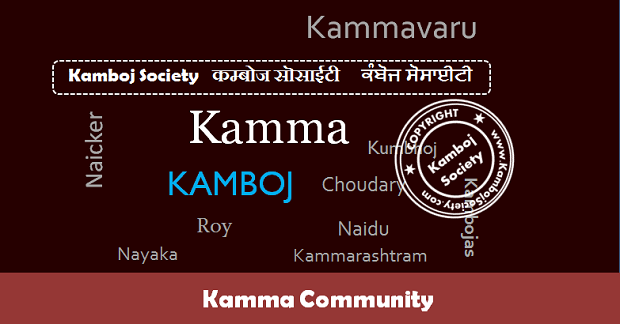 Kammas use different titles in different regions such as Chowdary, Naidu, Rao and Naicker. In Tamil Nadu and Southern Andhra Pradesh, Naidu is commonly used. Naicker title is used in the areas south of Coimbatore district. However, Telugu speaking Kapu, Velama and other communities also use the titles Naidu and Naiker in Coastal Andhra Pradesh and Tamil Nadu, respectively. According to the census of British India (1891) there were six divisions viz., Peda Kamma, Godachatu Kamma and Illuvellani Kamma (Krishna, Guntur, Anantapur and North Arcot districts); Bangaru Kamma (North Arcot); Vaduga Kamma (Coimbatore) and Kavali Kamma (Godavari districts)[In addition, divisions such as Gandikota Kamma, Gampa Kamma and Macha Kamma also exist. In modern times these divisions have all but vanished. While most of the Kammas are Hindus there were conversions to other religions/schools of thought such as Christianity, Atheism, Buddhism and Islam. Kammas are politically active, especially in the Coastal Andhra region of Andhra Pradesh and parts of Tamil Nadu and Karnataka. During the twentieth century a number of leaders like Prof N.G. Ranga, Kotha Raghuramaiah, Gottipati Brahmaiah, Moturu Hanumantha Rao and Kalluri Chandramouli played prominent roles in the national freedom movement. Several Kammas were also attracted to leftist ideals and joined the Communist Party. It was a strong political force in the state until the mid sixties. Many wealthy Kammas willingly relinquished their lands and actively worked for the land distribution reforms. This helped many landless individuals attain middle class status and brought about greater economic development of the state as a whole rather than to just one particular community. We are witnessing the benefits of this sacrifice now in the state as Andhra Pradesh has developed into an economic hub. However, their affinity towards the Communist party in the early days led them to lose political clout along with the diminished influence of the Communist party throughout the world. The Kammas are at a crossroads, today. A large number of families has already transplanted themselves to urban centres in India and abroad. 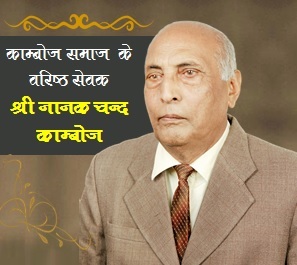 Their enterprising nature and hard work created a class of 'neo-rich'. In villages, land reforms forced many Kammas to give away their lands to the government. Subsequently, land holdings got fragmented and presently most of the Kammas living in rural areas are small farmers. The vagaries of weather and a lack of good "support prices" made agriculture unremunerative. Loss of interest in agriculture and the lure of urban environment have only exacerbated the situation. There are impending signs of a gulf developing between the rural and urban Kammas. Development of collective and corporate agriculture in the near future may obviate this possible scenario.